The Oxfordshire town of Burford - "Gateway to the Cotswolds"
Burford is an extremely popular town in the Oxfordshire Cotswolds which lies just off the main Oxford to Cheltenham A40. In 2009 it was voted the 6th best place to live in the world by Forbes magazine. Burford has hardly changed since Georgian times, when it was an important coach stop between Oxford and the West Country. It's magnificent High Street, one of the finest in the Cotswolds, slopes down to a bridge crossing the River Windrush. The High Street is overlooked by mellow golden Cotswold stone buildings including many 17th and 18th century houses. 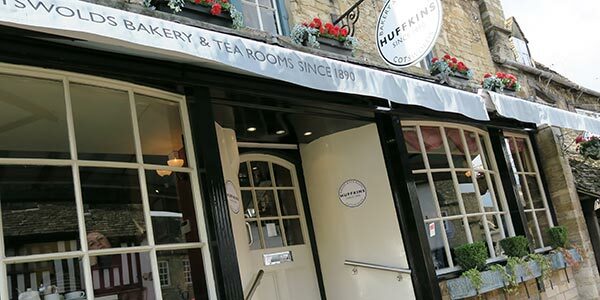 Burford's prosperity over the centuries has come from wool, quarrying and coaching. Indeed, local stone was used during the building of Blenheim Palace, St. Paul's Cathedral and some of the Oxford colleges. A 17th century landmark on the High Street and, if you believe what you read and hear, one of the most highly regarded small hotels in the Cotswolds. There are just eight bedrooms, all decorated individually with carefully chosen traditional Farrow & Ball paints. Some have queen or king size beds, some overlook the garden and some the evocative high street. The Bay Tree Hotel is set amidst the celebrated ancient black and white timbered buildings and those constructed from the beautiful honey-coloured local stone, a scene is created which beyond doubt has an aura of yesteryear. Unfortunately, Burford does not have a regular market.